Over the past few weeks I have written posts about two different pencil cases: the Sonnenleder pencil case Berit and the Eberhard Faber Lederetui. 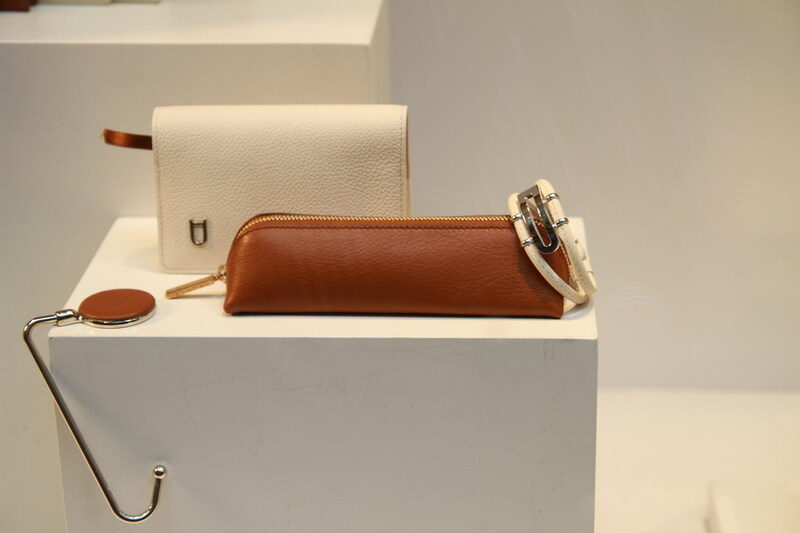 Both are made from leather and price-wise both are somewhere in the middle (Berit: €36 / $45 / £29, Lederetui: €15 / $19 / £12). 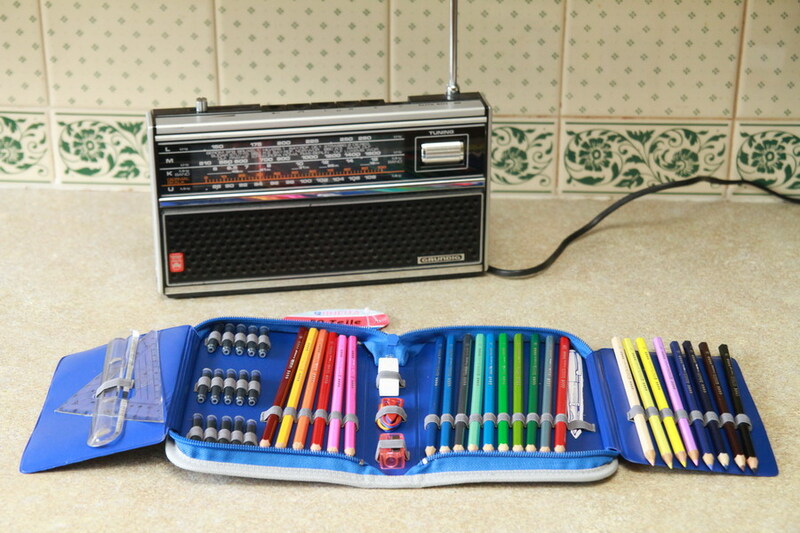 Today I want show what pencil cases are available at the more extreme ends of the price scale. 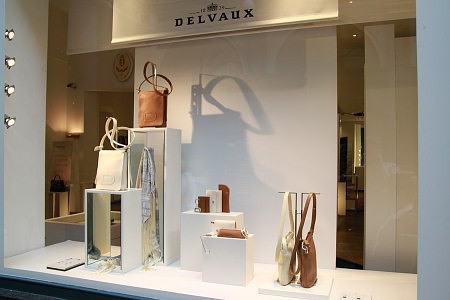 I have seen the expensive one I want to present today, the Prisme pencil case from Delvaux, in the posh Royal Galleries of Saint-Hubert in Brussels …on a recent trip to Belgium. Delvaux was founded in 1829 in Brussels and describes itself as ‘the oldest fine leather luxury goods company in the world’. This pencil case is available in two colours and will set you back € 140 (~$177, ~£115) …but you will own a pencil case with (the following is taken from their web site) a triangular profile that is pale Basane leather lined and has a double pen holder in leather stitched to the base. Furthermore the brass accessories have a a brushed palladium or brushed gilded finish. 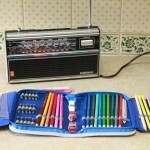 On the other end of the spectrum we have cheap pencil cases, pre-filled with pencils, for children. On my last trip to Germany I saw that most of them sell for about €3 (~$3.80, ~£2.50). 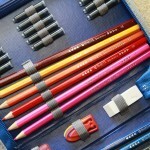 If you pay a bit less than €3 you can get a no name pencil case filled with ruler, eraser and lots of no name pencils. 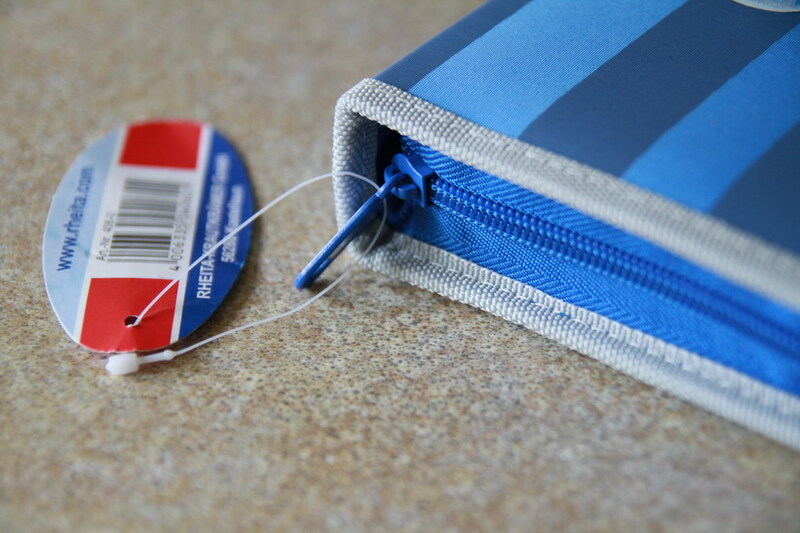 If you spent a few cents more you can get a much better one, like this 50 piece pencil case (article number 406-0) from Rheita, which I bought for less than €3.50. 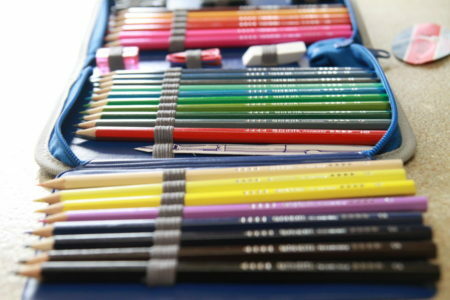 It includes colour pencils, rulers, an eraser, paper clips, a sharpener and ink cartridges (in Bavarian schools, possibly even in all German schools, children have to use fountain pens). 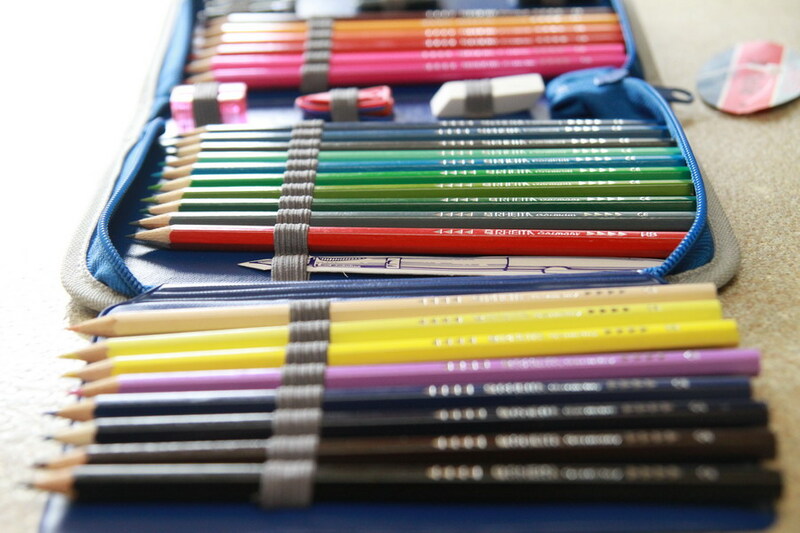 Compared to other German stationery companies Rheita, or Rheita-Krautkrämer, is one of the young’uns. Rheita’s history started in 1948, when the brothers Oswald and Fridolin Krautkrämer established “Rheingold-Tafel”, a company with more than 100 employees, manufacturing school writing slates made from slate and wood. The headquarters were near the river Rhein, hence the name. The company was later renamed Rhein-Tafel, which became RHEI-TA. Great stuff. 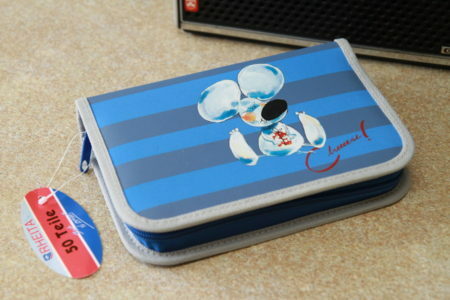 Those photos certainly make the cases look attractive, unlike some of their price tags. 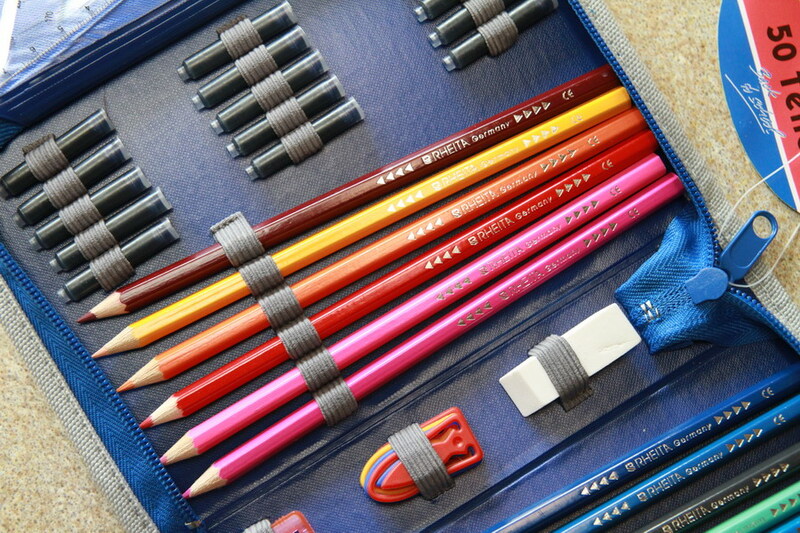 I like the Prime pencil case – the pen holders would be good to keep my Cross mechanical pencils from being scratched by my pencil sharpener. However at that price I think I’m going to pass. I got quite a nice case by Rohdia the other day – black leather – simple zip up plain case. 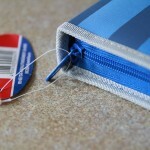 This Rhodia pencil case is really nice, and the price is good, too. Thank you for the link. It didn’t actually look that spacious. Great you can fit so much in and congratulations, it looks really nice on the photo from the shop. Hallo Haben sie Tafeln Und Rheita Milchgriffel koennen sie uns diese zeugen auch ein Preis oder wuerden sie uns diese auch nach Bolivien senden danke. Abram, this is just my hobby. I don’t have a shop. Abram, das ist mein Hobby. Ich bin kein Händler.